The case filed by Thangam Cinemas to stall the release of the Kamal Haasan starrer, Uttama Villain, claiming the return of the 2 crore loan given to Thirrupathi Brothers has been adjourned to April 28th. Thangam Cinemas, in their complaint, alleged that Thirrupathi Brothers had availed a loan amounting to Rs. 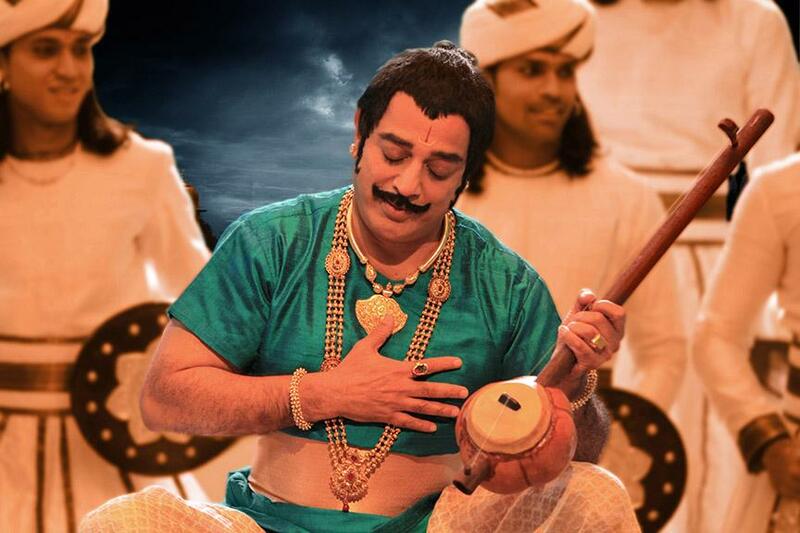 2 crores for producing the Kamal Haasan starrer Uttama Villain but failed to return it on time. With the movie gearing up for release on May 1st, Thangam Cinemas have filed a petition claiming the amount back. This case came up for hearing yesterday before Justice K. Ravichandrabaabu, counsel appearing for M/s. Thirrupathi Brothers Film Media (P) Limited and its managing director N. Lingusamy took an undertaking that the loan would be settled before April 28. On recording his statement, the judge posted the case for April 28 for report of settlement. Following this, the judge adjourned the case to April 28th. Kamal Hassan's latest Tamil movie 'Uttama Villain', slated for a May 1 release, has run into a legal tangle with a financier moving the Madras High Court to prohibit its release, claiming Rs 2.22 crore dues by the producers. When the petition by one S Thangaraj, partner of Thangam Cinemas, came up before Justice K Ravichandrabaabu on Friday, counsel for producers Thirupathi Brothers Film Media Private Ltd MN Joseph gave an undertaking to the court that the full amount would be settled before the film was released on May 1. The judge recorded this and posted the matter to April 28 for reporting the settlement. Thangaraj submitted that he had given Rs two crore loan to N Lingusamy and N Subash Chandra Bose for producing the film under the banner Tirupathi Brothers Film Media Private Ltd.
Thangam Cinemas was appointed distributor to exhibit the film in Chengalpattu area after the production company agreed to enter into an agreement by creating a charge on the copyright and distribution rights in favour of the financier's firm for a five year period for the area. This was acknowledged by the production house in a June 12, 2014 letter, he submitted. However, after the film was completed, he came to know that Thirupathi Brothers had arranged to release it by entering into an agreement with Eros International Media Limited with a malafide intention of cheating him, Thangaraj said. He contended that after giving him distribution rights, Thirupathi Brothers had no right or authority to assign 'his rights' over the film in favour of Eros International. Besides, the cheques handed over by Thirupathi Brothers were dishonoured due to insufficient funds and the production house has to repay Rs 2.22 crore, including interest, he said. The petitioner said he would suffer irreparable loss if the movie hits the screen on May 1. Hence, he prayed the court to prohibit film release in any form and render justice.